Florida lost treasure sites are listed on this page. However, I cannot promise that this information is completely accurate. As treasure tales go, because they have been passed down through many years, certain elements of the lost treasure story may have been altered, either intentionally or otherwise. This information should be researched through other means as well. Never rely on one piece of information about a treasure story you are researching. Use multiple research tools. This entire website has all of the information you need to help you locate treasures of various kinds. Located in St. Mary’s River.Spanish plantations were erected on this island. Spanish coins have been located on the beaches. Located on State rte 476, west of U.S. 301 near Bunnell. In 1835, Seminole Indians massacred Federal soldiers here. It has been reported that the soldiers buried their payroll before the attack. No evidence of the treasure has been reported. Located two miles west of Crystal River on U.S. 19. The Indians sometime between 400 BC and 1200 AD established this site. The park is off limits to treasure hunters. However, divers have recovered numerous artifacts in the river. Located ten miles East of Jacksonville. Although now gone, the French Huguenots built this site in the 1500’s. The Spaniards attacked and killed the inhabitants shortly after the fort was erected. Located a few hundred yards from the west end of Upper Matacumbe Key. The Calusa and Matacumbe Indians, as well as the Spaniards used this site. Many shipwrecks that date back to the 1600’s are known to be in the waters off Indian Key. Treasure hunters for years have found gold and silver coins, as well as old bottles in this area. Located in the St. Johns River near Jacksonville. The Spaniards built a fort and a Mission here. Indians raided both places a number of times. Silver and gold coins have been found on local beaches. This area has been known to hold many Florida lost treasure. For centuries, the Spaniards moved their goods along the Florida Keys between Spain and Mexico. Many times their ships were lost at sea due to violent storms. To this day, silver, Spanish coins, and gold coins, as well as pieces of gold and silver jewelry, from these wrecks, wash up on the beaches of islands and the coastline of Florida. Many stories of buried treasures have been told about this area of Florida. 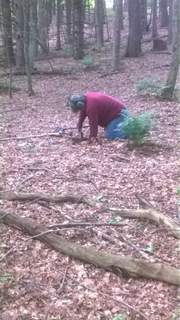 Stories of confederate soldiers and pirates burying treasures have been told for years. One famous treasure story of this area is the one about Billy Bowlegs. Bowlegs was a very bad pirate who many called a “cutthroat.” Apparently, Billy Bowlegs buried treasures near Franklin, Fort San Carlos, and at Santa Rosa Island. Know What The Law States About Removing Artifacts. Florida lost treasures may be located in ghost towns. 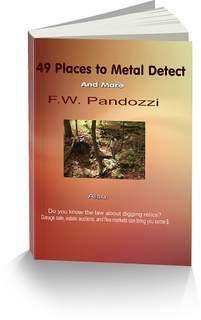 Want To Know How To Earn Money With Your Detector? Good luck! And have fun in your search for Florida lost treasure.